Years ago in my previous occupation as an iron-worker, I was working for a state I live in. They routinely hired us to fabricate parts and do bridge repair. One this particular project I was working in the shop drilling beam plates. Each plate was (if my memory serves me right) about 2ft by 1ft by 1/2inch thick and weighted right about 95 pounds. We had a system set up – one guy would put the plate on the table, another would do layout, then one would drill the holes, and the last guy would double check and place them on a pallet with other parts and pieces, bolts, etc. I had finished drilling a plate, used the overhead crane to set it on a two-wheel cart to roll into the final check. I didn’t realize that someone had set a plate on the floor leaning up against the table leg. I hit the table and the plate tipped over onto my foot. I had no time to react since as I mentioned, I had no idea the plate was there. Luckily for me, one of the requirements for working for the state, (at least in this department) was steel toe boots. The plate landed on my right foot with the edge hitting my foot just past where the steel toe ended. I was taken to the ER to get my foot checked out. I got lucky, nothing was broken. Only a bruise in a straight line about a 1/4” past the steel toe. I was off work for the rest of that day and the next but it could have been much worse. Although I was left with a sore and bruised foot, it was much better than having a smashed foot. And as I have gotten older I wonder if my injury would have been more severe how would it affect me now? These days with the continuous advancement of technology safety shoes are much different than 30 years ago. Then steel toe boots were about all you could get. Now you have tennis shoes, dress shoes available with a safety toe. 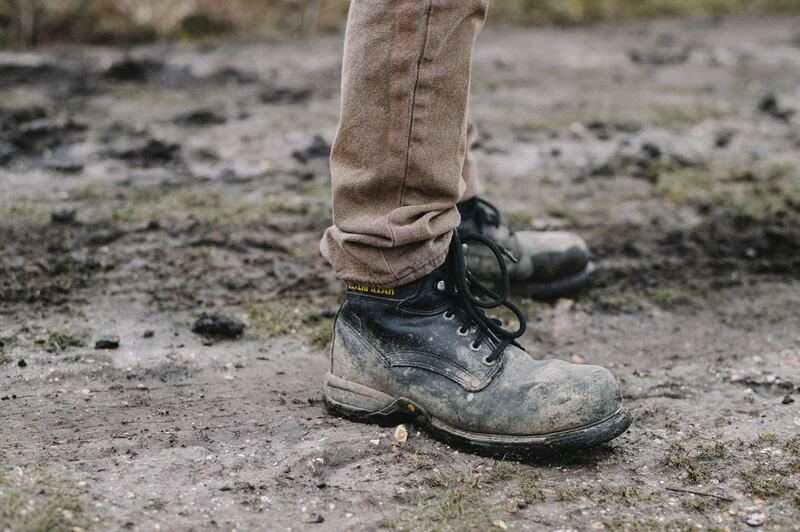 You can choose steel, alloy, or composite and just about all (if not all) major brands carry some sort of safety shoe that should be suitable for about any job requirement. For more info, check out this EHS Safety News article on requirements for footwear.